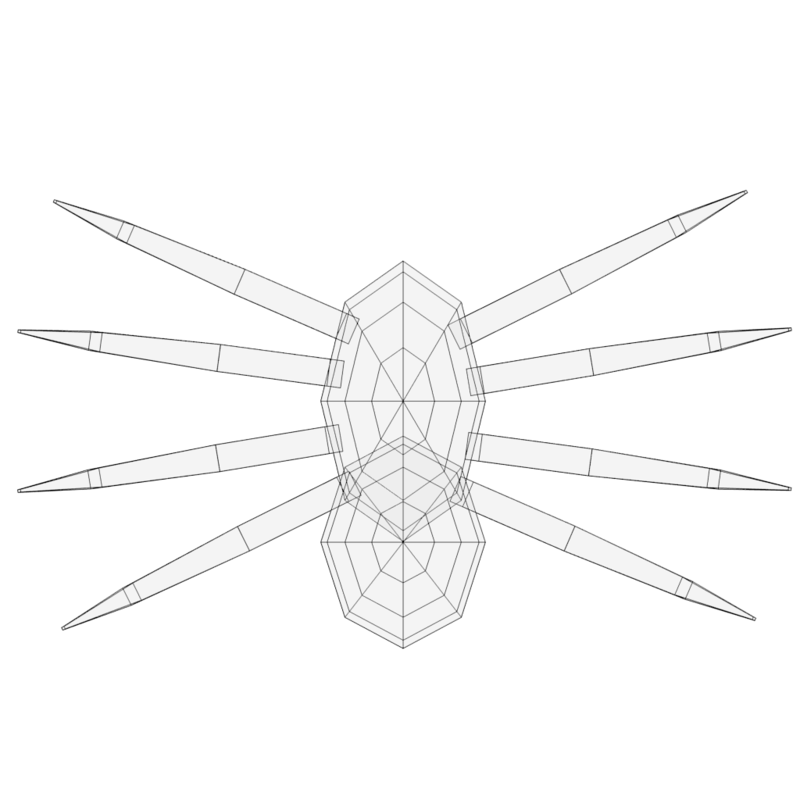 This is a low-poly Spider modeled and animated in Blender. Originally modeled as a small critter in a video game project that was programmed to skitter along the landscape, I've decided to put it (and various other pieces) on OpenGameArt for your personal use. 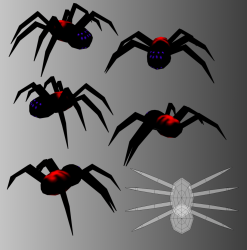 This spider only contains a diffuse texture, as the video game project in which it was used was a 3rd-person Android App. 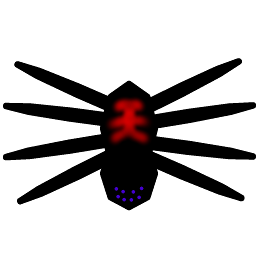 I used a single diffuse map to cut down on processing power. The Spider itself is available in the .Blend file that I provide below, and it is rigged to a simple but effective skeleton which contains 5 loopable keyframes of a Walking animation, and a 1-keyframe Idle animation. 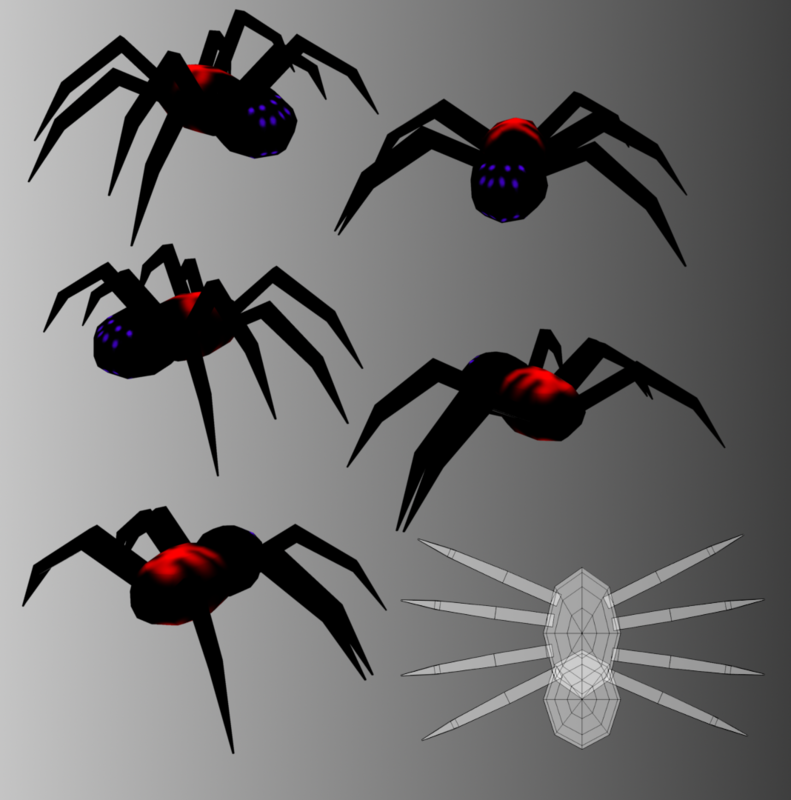 This page for the model also contains a download of the original UV-Map in case you would like to add your own flair to the Spider. Thank you, Facade. I was trying to go for sharp angles on its legs. Those always scared me as a kid. And it helps keep it low-poly with straight polygons.